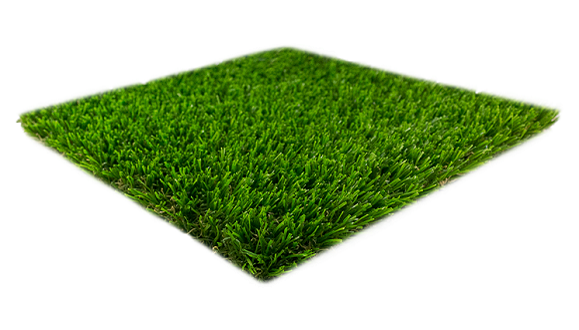 Imperial Deluxe is a thick, full, realistic looking synthetic turf and one of PolyTurf's best selling products. It's the perfect choice for anywhere an attractive, durable, comfortable, natural looking lawn is desired. 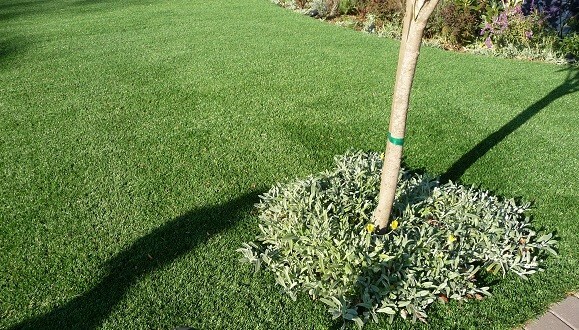 Available in a two-tone field and lime green blend with a natural looking green and tan thatch, this PolyTurf favorite is a non-infill, economical yet beautiful choice for an all-purpose lawn. Imperial Deluxe encompasses PolyTurf's best features, including a BioCel soy-based backing, making this a more environmentally friendly synthetic turf option. For the ultimate look in thick, beautiful, natural lawns, Imperial Deluxe is the top choice synthetic turf for residential and commercial landscaping, backyards, municipal landscaping, and more.